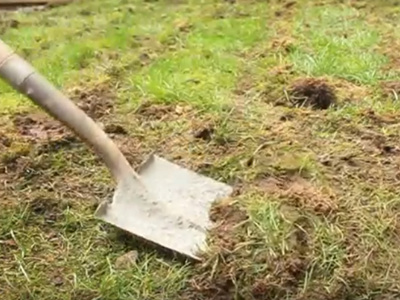 Remove old sod/dirt to a depth of 2″~4″. 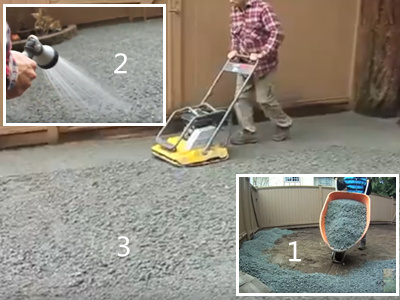 Place 2″ of 3/4″ road base over entire area, rake evenly, water thoroughly and compact with plate tamper or compactor. 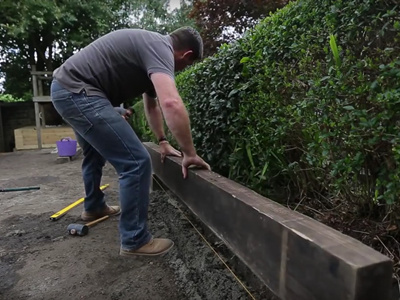 Place another 2″ of ¾” road base over project area, rake evenly, water thoroughly, and compact. 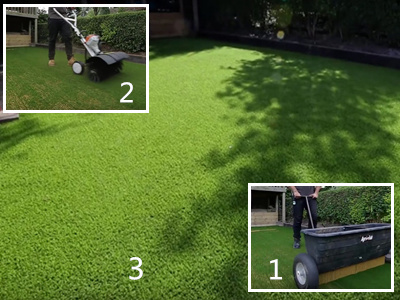 Be sure there are no low spots in the area of the Artificial Grass. Laying artificial turf over project area. 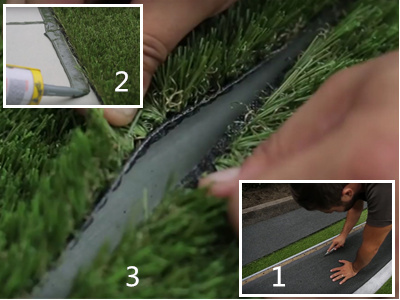 Preferably keep grass fibers facing same direction (never opposite direction. 90 degrees is ok).